All runners must register and collect their numbers before their race at Event Registration at the venue. Home cooked food, refreshments, bag storage, toilets, are provided at the venue. Water stations available on all routes. Entry on Day available at increased price. Races start at 10.30am outside the village hall. Please be at the race briefing at 10.25am. Please do not wear headphones – you need to be able to listen for traffic on the narrow country lanes. Please be aware of and courteous to other road/path users and local residents. If you need to retire from the race you must return to race HQ in the village hall and inform registration. No dogs allowed to accompany runners on any event. Please close any gates behind you on the trail race and do not climb walls/fences. Please listen to the safety briefing at 10.25am at the start. 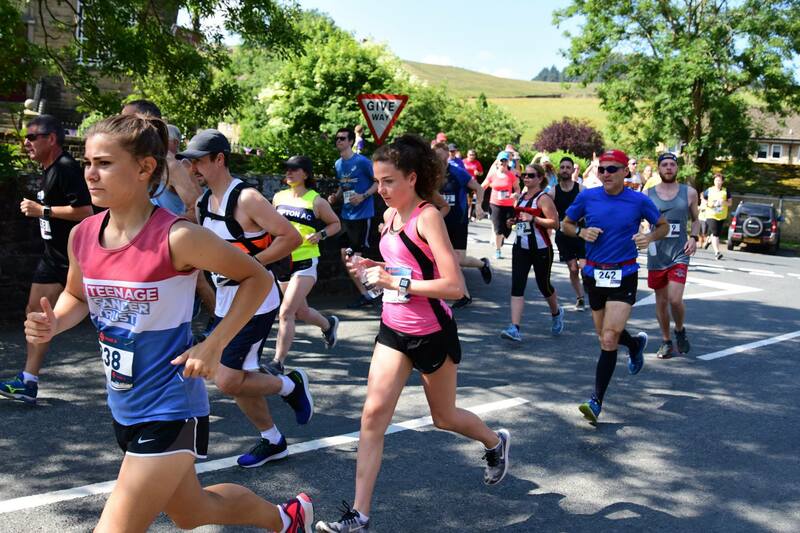 Cut-off time for half marathon runners: If you arrive in Barley (6 miles) later than 1 hour 15 minutes from starting, you will have to retire and you will be given a 10K time. Leave the M65 at Junction 13. Take the A682 towards Kendal. Follow the road for approximately 1 mile. Look for the White Bear Pub on the left and turn immediately left onto Pasture Lane. Follow the road up and down hill around various bends for approximately 1.5 miles to a ‘T’ junction. Turn left at the junction opposite a pub called the Bay Horse. Follow the road for about 0.75 miles to a small crossroads and turn right. Follow the road for approximately 1 mile until you reach the village of Barley. The Car Park is on your RHS before the T-Junction. Registration is across the T-Junction. Please follow marshals instructions for parking at the event.